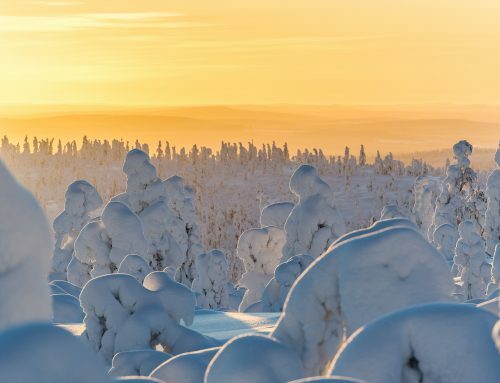 Taking a Lapland holiday over the Christmas period can often be a little pricey, however, these Lapland holiday deals will have you stamping your passport before you know it. From Ice hotel breaks to hunting the Northern lights this selection of holiday Lapland holiday offers will make you question using Trivago to find an awesome price for your next trip to Lapland. Classic Ice Hotel Break including flights from £895 per person. Head 200km north of the arctic circle and you will find Jukkasjärvi, a tiny remote village in North Lapland home to the Ice Hotel a hotel completely crafted from ice. 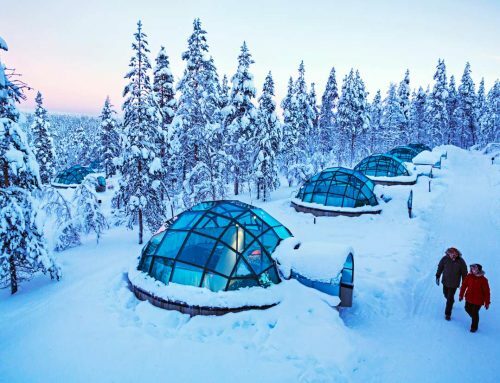 This 4-day break includes one night in the ice hotel, where you will spend a night in your own ice cave followed by 2 nights in a modern hotel. 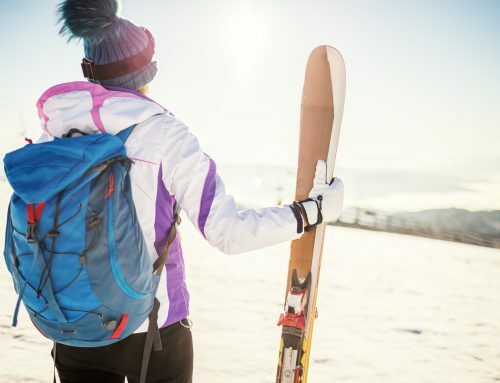 The break also includes a selection of activities from dog sledding, short courses in ice sculpting, northern lights snowmobiling and much more. All this including flights for just £895 per person. Northern lights city break in Tromso Norway from just £490 including flights. Catching a glimpse of the phenomenal Northern Lights is on all of our bucket lists. This incredible offer includes accommodation flights and a selection of awesome activities. Husky sledding, snowmobile safaris, reindeer sledding, whale watching and an evening aurora safari. All this from just £490 per person. Meet Santa, husky sledding, play with puppies, feed reindeer, snow show, ice fish, lasso lessons and maybe even spot the northern lights all on this incredible luxury Lapland Santa holiday. Stay in a timber retreat including jacuzzi’s and its own private husky farm, all from just £1,495pp including flights! Visit the picturesque village of Yllas and stay self catering in a 4* log cabin for just £329pp. This incredible price is based on a family of 6 sharing and includes flights, yes flight too! You will often find that during the Christmas period holidays to Lapland can be a lot higher in comparison to the rest of the year. Holiday prices are higher because of the influx of tourists wanting to visit Santa in the month of December. 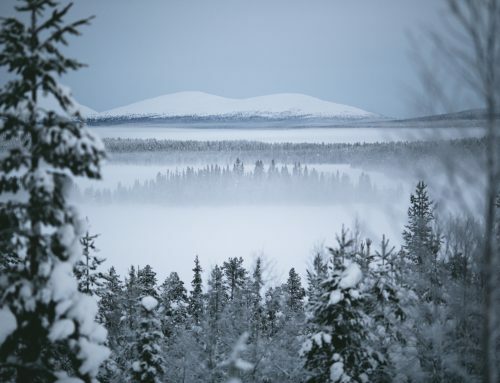 To find a great Lapland Holiday offer, you should visit the region outside of the Christmas period. Santa Claus’s village is open throughout the year except for between May to June. If you are looking to catch a glimpse of the Northern Lights between January and March you will have the best chance of seeing them in Lapland. You will also notice a lot fewer tourists outside of December making your a little more tranquil. Making there many reasons to visit Lapland outside of December. 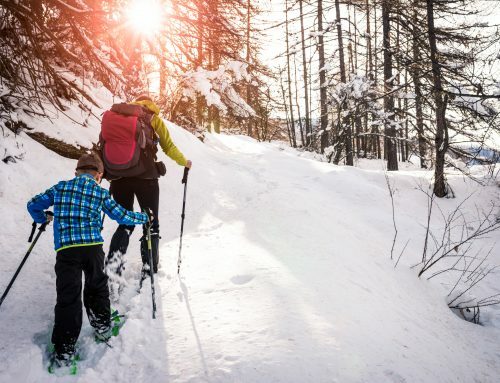 If you would like to know any more about the Lapland holiday offers mentioned in this post you can contact us on 0800 860 0531 to find out more. Or drop us a message on our contact us page.